Hats and scarves sent to UUSC in November as part of the Guest At Your Table event have been distributed to those in need in Tijuana,Mexico near the border at San Diego. We sent nearly 100 items. The craft group decided recently to meet every Monday (instead of twice a month) at 1 pm in the Warner Room. We welcome any one who enjoys the company of others to knit, crochet, share tips, and help others with projects. 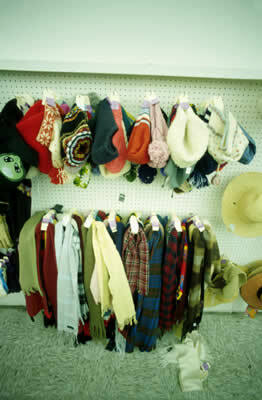 Reminder: you do not need to come to the craft group to participate in the hats and scarves project for UUSC. Make your items at home then bring them to the church office. This is a year-round project. Lots of hands make light work.